International Olympic Committee (IOC) President Jacques Rogge has paid tribute to the Organising Committee of the inaugural Winter Youth Olympic Games here by claiming the event “has exceeded all expectations”. 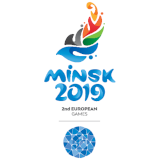 The ten-day event, which officially ended tonight, has seen more than 1,000 athletes aged between 15 and 18 compete and has been a major success with just $22.5 million (£14.5 million/€17.4 million) spent on the event by the Organising Committee, in addition to the $121 million (£78 million/€93 million) spent to construct the Athletes’ Village. 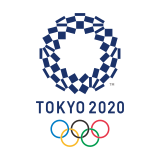 Rogge, who is widely credited with coming up with the idea of the Youth Olympics, admitted he was delighted with how the inaugural edition of the competition went and praised the delivery of the Games. “The first ever Winter Youth Olympic Games have exceeded all expectations and laid solid foundations for future Youth Olympic Games,” he said. “We owe a debt of gratitude to the organisers and the many volunteers. 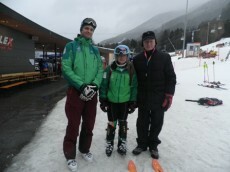 “It has been truly excellent and we now have had to fantastic inaugural competitions with the first Summer Youth Olympics in 2010 and now the first Winter Youth Olympics here. “These events now provide a template for future hosts. “The model of the Youth Olympic Games is not for the IOC to make a profit,” Rogge said. “While there is interest for the Games from television and sponsors, it is nowhere near the interest there is for the traditional Olympics. “But that is not the point of this event. At Innsbruck 2012, a total of around 100,000 spectators attended the competition venues, while television channels from 70 countries showed daily highlights of the Games and over 900 media representatives attended, producing over 11,000 articles.